She returned home to the woods of New Hampshire to convert her childhood bedroom into a makeshift studio. Little by little, she applied her sharpening musical tools to emerging past selves, childhood traumas, and a joyous curiosity for herself. Sir Babygirl chronicled each revelation in song, reclaiming and celebrating all the deep dives, detours, and divas that led her to her debut album Crush On Me. Crush On Me dances through discovery—from opener and debut single “Heels,” which sets Sir Babygirl as a bewildered, bisexual Cinderella bailing on the ball, all the way to the gentle self-courting of the closing title track. 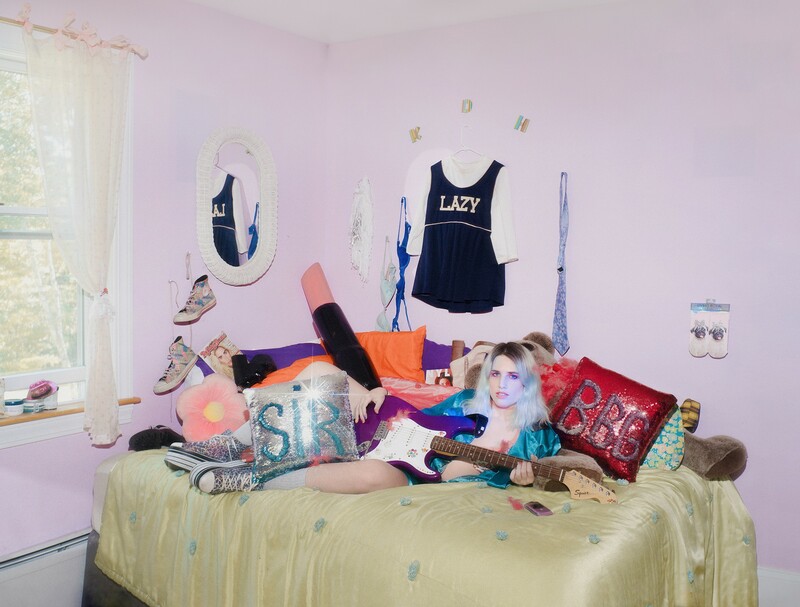 Along the way, Sir Babygirl rages through the agony and ecstasy of queer flirting (“Flirting with Her”), peels past layers of latent shame (“Cheerleader”), parties with old ghosts (“Haunted House”), trudges through social anxieties (“Everyone is a Bad Friend”), and basks in the glow of neon-lit nights out (“Pink Lite”). On the other side of the journey, Crush On Me ultimately celebrates the silliness and sanctity of a second adolescence, a rite so quintessential to the queer coming-of-age experience. Imagine Karen O performing Robyn’s “Dancing On My Own” with Courtney Love strumming the synth line… or maybe a Max Martin-produced cover of Lauryn Hill’s “Ex-Factor” performed by My Chemical Romance’s Gerard Way. Wrap it all up in an aesthetic that marries Grimes to Ashlee Simpson in the uncanny valley of celebrity culture and neo-Absurdism. 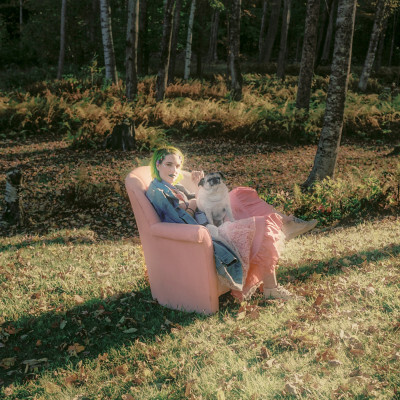 Somewhere out there, in between a girl group and a boyband, is Sir Babygirl… and her pug Baby Diva.